WASHINGTON — Sam Clovis, the former top Trump campaign official who supervised a man now cooperating with the FBI's Russia investigation, was questioned last week by special counsel Robert Mueller's team and testified before the investigating grand jury, a person with first-hand knowledge of the matter told NBC News. Clovis, who is President Donald Trump's pick to be the Department of Agriculture's chief scientist, could not be reached for comment. His lawyer, Victoria Toensing, would neither confirm nor deny his interactions with the Mueller team. "I'm not going to get into that," she said in an interview. Clovis, spotted by NBC News in the Hart Senate Office Building, declined to answer questions. George Papadopoulos was arrested in July and began cooperating with agents, records show — disclosing his interactions with a professor and other Russians whom the FBI suggested in court documents may have been working for Russian intelligence agencies. He pleaded guilty to making false statements on Oct. 5. The court documents unsealed Monday describe emails between Papadopoulos and an unnamed "campaign supervisor." The supervisor responded "Great work" after Papadopoulos discussed his interactions with Russians who wanted to arrange a meeting with Trump and Russian leaders. Toensing confirmed that Clovis was the campaign supervisor in the emails. 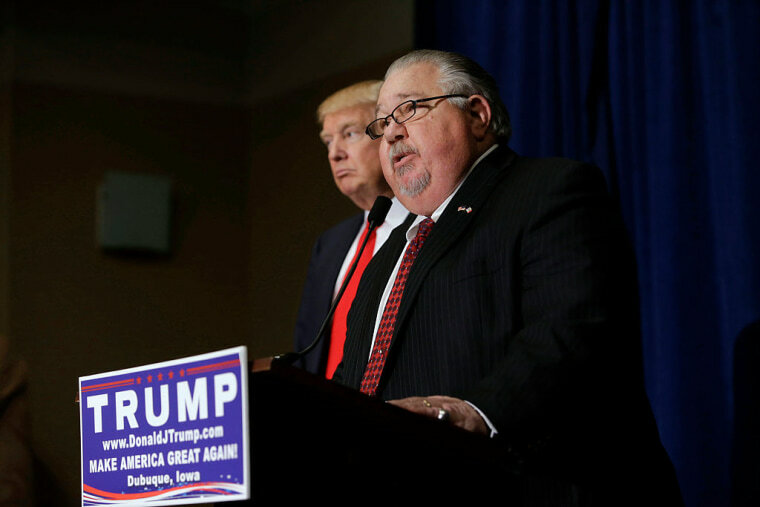 Clovis, a former Air Force officer and Pentagon official who unsuccessfully ran for Iowa State Treasurer in 2014, was the Trump campaign's chief policy adviser and national co-chairman. 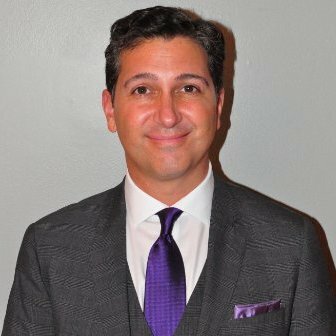 He is currently serving as a White House adviser to the Agriculture Department, awaiting Senate confirmation before the Agriculture Committee for the scientist job. He is not a scientist. In a statement, Toensing's office said Clovis set up a national security committee in the Trump campaign that included Papadopoulos, "who attended one meeting and was never otherwise approached by the campaign for consultation." She disputed a suggestion in the Papadopoulos documents that he was told by Clovis that a top campaign priority was improving relations with Russia. In August 2016, according to court documents, Papadopoulos told Clovis about his efforts to organize an "off the record" meeting with Russian officials. "I would encourage you" and another foreign policy adviser to the campaign to "make the trip, if it is feasible," Clovis responded. In the statement, Toensing said the Trump campaign had a strict rule prohibiting travel abroad on behalf of the campaign, but said that Clovis would have had no authority to stop Papadopoulos from traveling in his personal capacity. "Dr. Clovis has not communicated with Mr. Papadopoulos since prior to the 2016 election," the statement says. Democrats have already targeted Clovis' nomination to what is often referred to as the department's chief scientist because he has previously stated doubts about climate change. In a 2014 interview when he was a candidate for U.S. Senate in Iowa, Clovis described himself as "extremely skeptical" of the overwhelming assessment of climate scientists that human behavior is responsible for warming trends. "A lot of the science is junk science," he said then. In his role in the Trump campaign Clovis, a 25-year Air Force veteran, helped assemble Trump's National Security Advisory Committee, chaired by then-Sen. Jeff Sessions (R-Ala.), which was publicly announced in March 2016. A public Senate confirmation hearing would give Democrats on the committee an opportunity to question Clovis about his interactions with Papadopoulos and the campaign's deliberation about meetings with Russian officials. "I’m not aware that any change would be necessary at this time," White House spokeswoman Sarah Huckabee Sanders told reporters at the daily press briefing when asked about the status of Clovis’ nomination. The Agriculture Committee is chaired by Republican Sen. Pat Roberts of Kansas, a former chairman of the Intelligence Committee. Sen. Chuck Grassley (R-Iowa), chairman of the Judiciary Committee, which is conducting its own Russia-related probe, is also a member of the Agriculture Committee, as are Democrats Patrick Leahy of Vermont and Amy Klobuchar of Minnesota. "A hearing later this week is to be determined," said Roberts. "We'll make that determination after we check with all members of the ag committee. I know the Democrats have marching orders to oppose him and so we usually operate in a bipartisan manner. We'll see." Clovis was also interviewed recently by the Senate Intelligence Committee, according to a source with direct knowledge. Roberts told Politico Tuesday that Clovis was "a fully cooperative witness." Clovis has continued to work at the Agriculture Department even as his nomination is pending. Agriculture Secretary Sonny Perdue has referred to Clovis as a "trusted adviser and steady hand" in his work for USDA in his current role, noting when his nomination was announced that he "was one of the first people through the door."